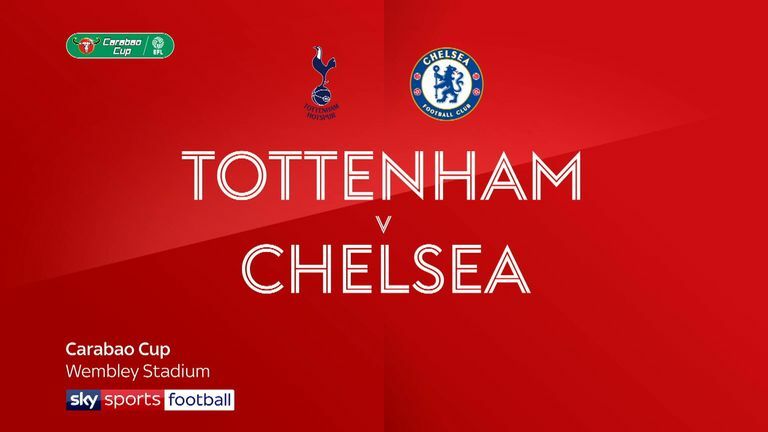 Chelsea's Carabao Cup semi-final second leg with Tottenham is the ideal match to turn around the club's recent fortunes, according to Cesar Azpilicueta. Maurizio Sarri's side head into Thursday night's crunch fixture at Stamford Bridge trailing 1-0 from the first leg, a game dominated by controversies involving the Video Assistant Referee. Spurs won the first leg thanks to Harry Kane's first-half penalty, awarded after the intervention of the VAR, who decided the England striker was onside before being upended by Chelsea goalkeeper Kepa Arrizabalaga. Azpilicueta, however, thinks Chelsea deserved more from a contest they dominated for large periods, without really creating too many clear-cut openings though. "I cannot get into the VAR as I do not control it," he said in an exclusive interview with Sky Sports. "When you are not used to it in the Premier League, it is something different, but it went this way and we could not change it. "But even when we had this negative feeling in the game with the VAR, the penalty, the goal, the team played very well from the first minute to the end. "We deserved more, but we were not able to score. So, what I retain is the way we played and the personality to keep playing our football, even when we were 1-0 down after the defeat in the league as well." Not only did Chelsea lose the first leg at Wembley, but they were also beaten in another London derby last weekend when suffering a 2-0 defeat at Arsenal in the Premier League, a setback that has put the club's top-four hopes in doubt. 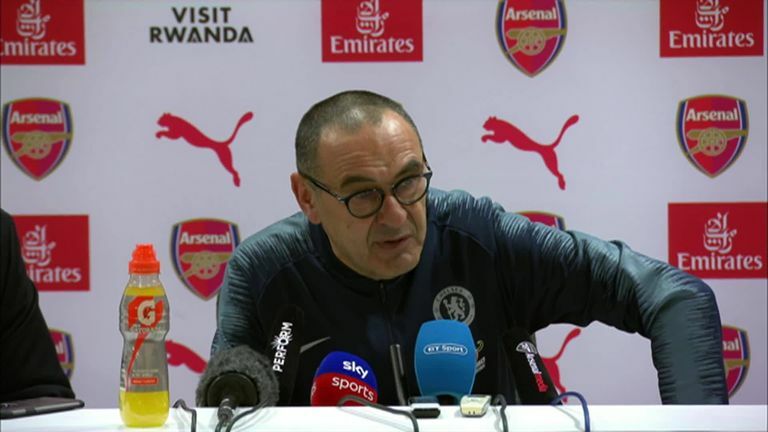 So lacklustre were Chelsea's players at the Emirates, that Sarri even questioned their motivation after the game. However, what better opportunity can there be to make amends than a London derby in front of your own supporters with a place in a final at Wembley at stake, says Azpilicueta. "I am looking forward to Thursday's game, I think we have a massive opportunity to come back again to Wembley," he said. "We were in the FA Cup final a few months ago, we were in the Community Shield. "We are Chelsea, so we are used to going to Wembley. And hopefully we can bring our fans back again and reach another final. Get Sky Sports Football to see the second leg of the Carabao Cup semi-final. Find out more here. "Thursday is when we have to put all the work on the (training) pitch and to play in Stamford Bridge against Tottenham in the semi-final of the cup, we have everything and the best game to turn it around all together and play a big game." But it is only the players themselves who can make up for those recent reverses to Spurs and Arsenal, starting against Mauricio Pochettino's team on Thursday, says the versatile Spain full back. "After the game (at the Emirates), we were very frustrated and angry," said Azpilicueta. "We did not perform well and we are all together. We were the first to know that we did not play well, everyone had the same feeling and now it is up to us to turn it around. 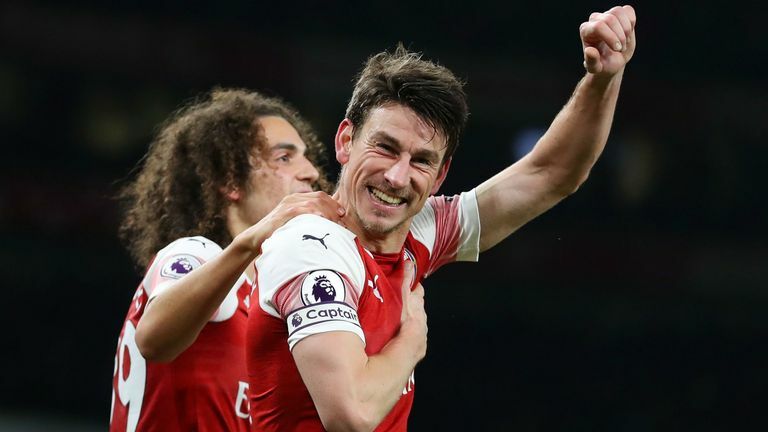 "We have been playing very well and getting results - it is true that in two big games against Tottenham and Arsenal, from the first few minutes we were not playing well, and we lost the game in the first few minutes. "But we are aware of this and we are trying to turn this around on the training ground and we have an amazing opportunity to do this on Thursday."